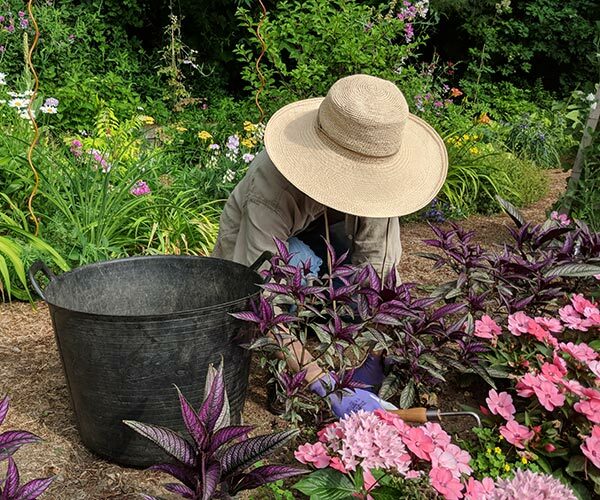 During the hot and hazy mid-summer, the list of garden chores is whittled down to a few: watering, deadheading, watering, weeding, and watering. If you are fortunate enough to be able to water, it’s a great idea to invest in a timer. Whether you prefer a simple mechanical timer or a more elaborate digital one, you can set the timer before you leave for work in the morning, so you water in the coolest part of the day. That wastes less water through evaporation. The theory is that water will evaporate, much like dew, and be less likely to cause fungal problems than night-time watering. We try to drag the sprinkler and hose into position the evening before. 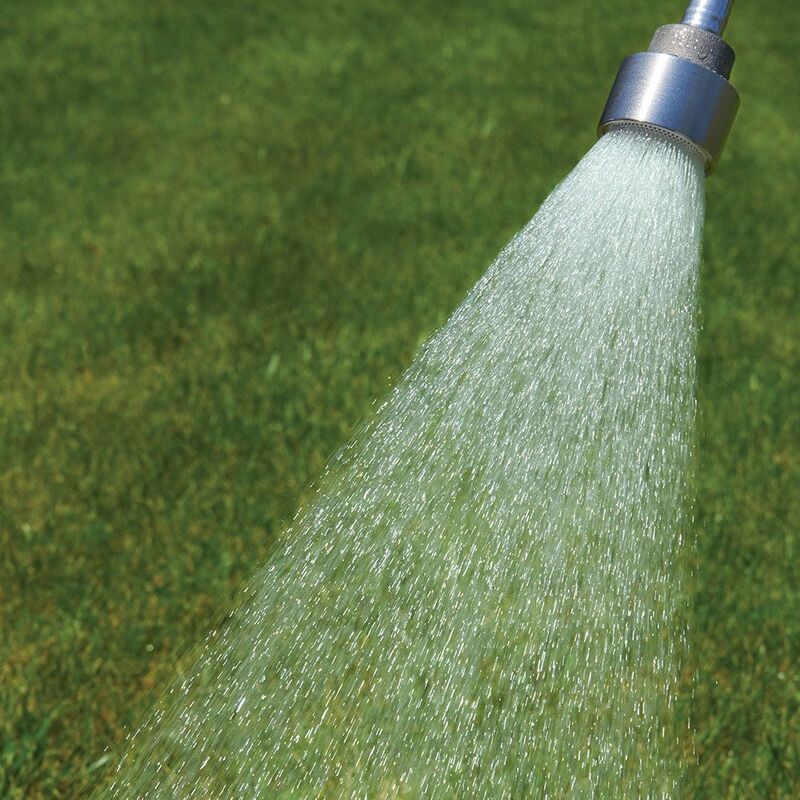 Most plants need an inch or two a week of water. In the garden, it’s better to deliver a single deep soaking than dribble a little water every day. Deep watering encourages roots to drive deep, making the plants less susceptible to wilting. Plants in containers may need watering daily – even twice a day. Check the soil first, though – overwatering is the biggest cause of death for container plants. The soil should be allowed to dry out a bit between waterings, although not so much that plants wilt. Weeding in the garden utilizing our Tub Trug, Perfect Garden Gloves and Garden Hat. Most gardeners wouldn’t rank weeding as their most pleasurable task, but because it’s something that must be done, it’s best to make it as easy as possible. There is an array of top quality tools designed to help eradicate weeds of various types in a variety of locations. An Easy-Glide Garden Hoe works beautifully in borders and the Tight Spots Weeding Tool dislodges weeds that find their way into crevices and cracks. 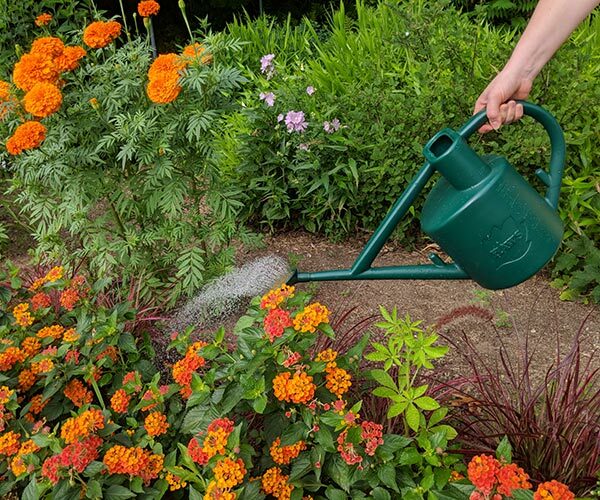 In addition to having the right tools and supplies (like a good Trug to haul away weeds), our advice is to weed after it rains or after a good watering. The roots of most weeds yield more easily when the ground is moist. 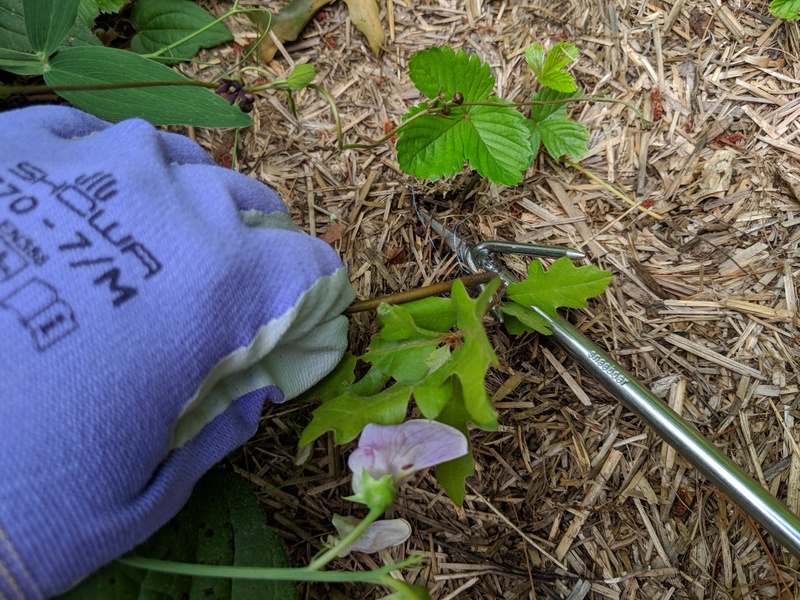 Shaped like a small harpoon, this remarkable tool is designed to help gardeners remove weeds from around the bases of perennials and shrubs without damaging those valuable garden plants. Although deadheading can be a tedious task, it is one that is necessary and will reward you in the end. This will help keep your garden looking fresh and tidy. However, another important benefit of deadheading is to help produce blooms for the rest of the growing season. 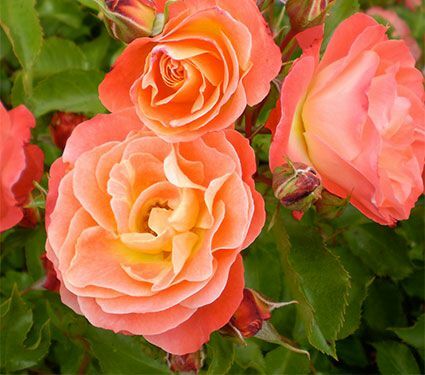 The process of deadheading includes removing spent flowers, either with hand pruners or the tips of your fingers by pinching off the tips of the plant. By doing this, taking care to remove the ovaries, you are helping redirect energy back into the plant. 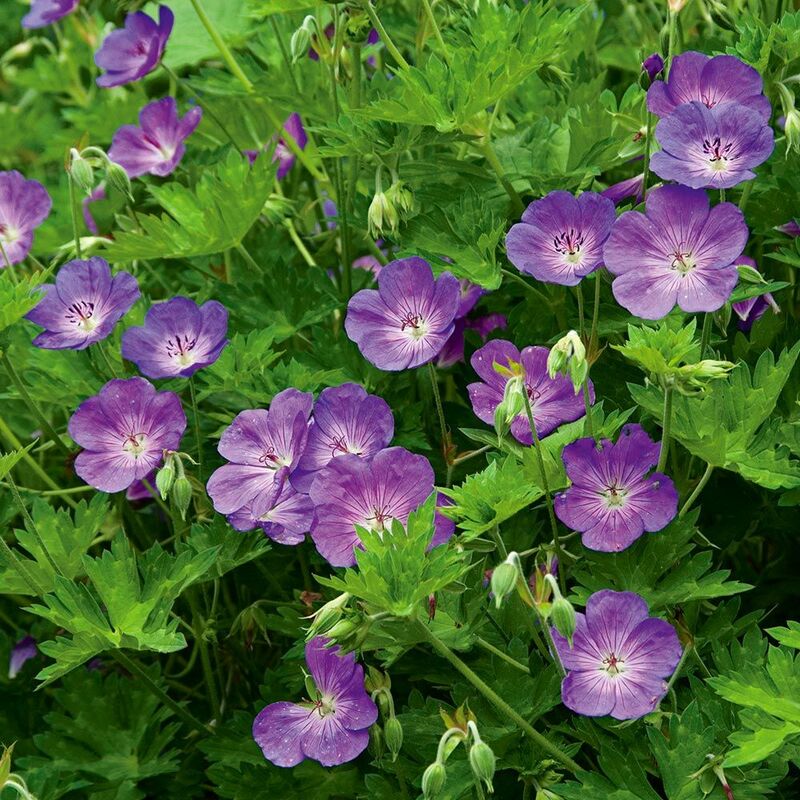 This will help to encourage another flush of flowers in many perennials. Leaving you with a longer period of time to enjoy the flowers and blossoms in your garden. Among the great pleasures of the nursery business is discovering new and unfamiliar plant varieties. 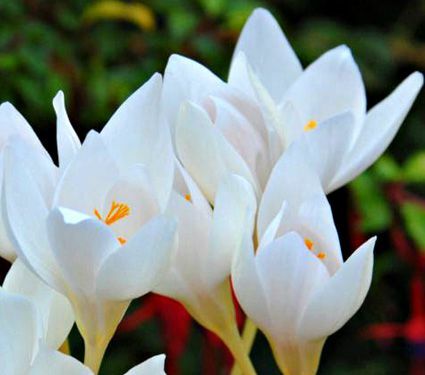 These can be plants that are new to the market and or simply new to us. Choosing which of these plants to offer, and which our customers might find appealing and useful, is a very satisfying part of our job. Over the years, we’ve learned that “new” doesn’t always mean “better.” For that reason, we trial plants in our gardens extensively to make sure that every variety we offer lives up to grower’s claims, and meets our expectations and yours. Highlighted below you’ll find a handful of the new perennials and bulbs we’re offerings for the fall season. Several are brand new to the trade, others are treasured varieties we are pleased to have discovered. Named after the Italian for “my love,” this exquisite Jonquil is easy to fall for. Jonquilla Daffodils like hot, baking summer sun and are well adapted to growing in the Deep South. They also thrive in cooler parts of the country. These Daffodils naturalize well, creating beautiful sweeps of color. 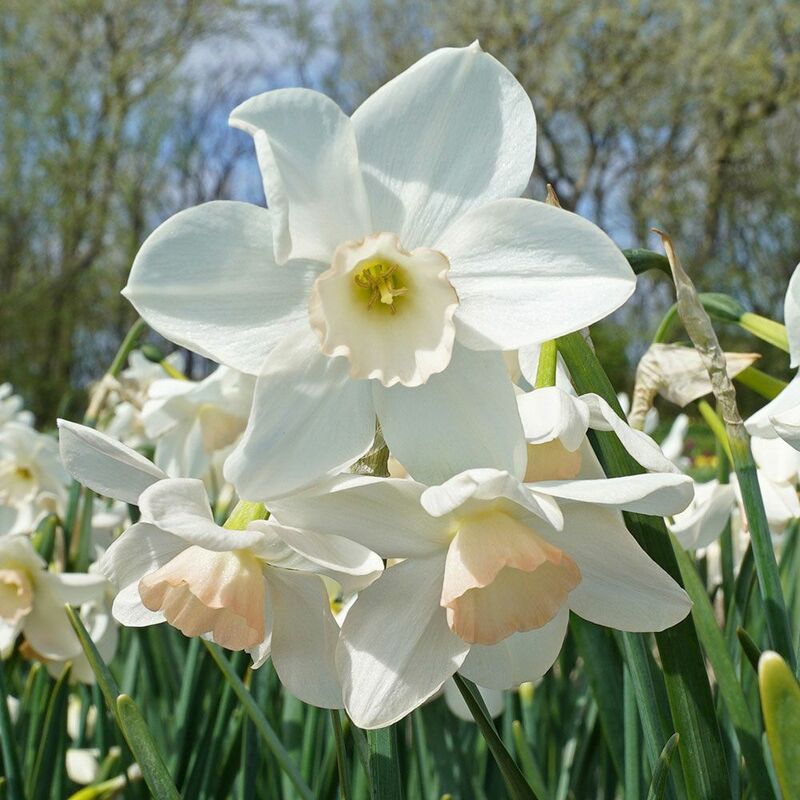 Narcissus ‘Amore Mio’ features round, pristine white petals that surround a gently ruffled white corona, subtly suffused with just the hint of blush. The light perfume ensures you’ll never forget her. 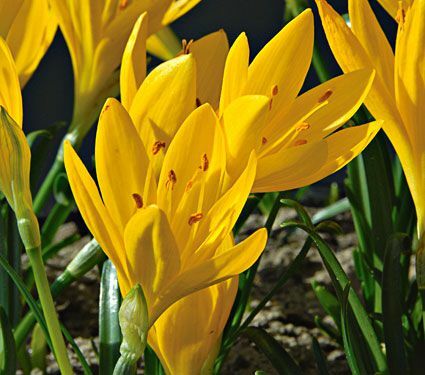 A favorite of our Dutch Daffodil breeder. Pastel shades of yellow and blue combine in this springtime confection. Iris are among the best-known and best-loved garden plants. Say the word “Iris,” and visions of brilliant June flowers come to mind. 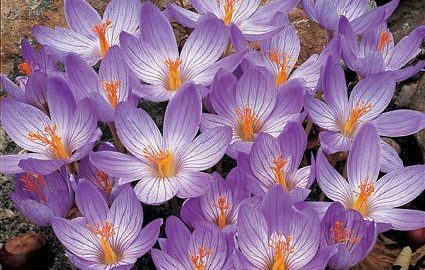 The chosen habitats of Iris range from standing water to formal borders, and there is scarcely a shade or combination of colors that can’t be found. 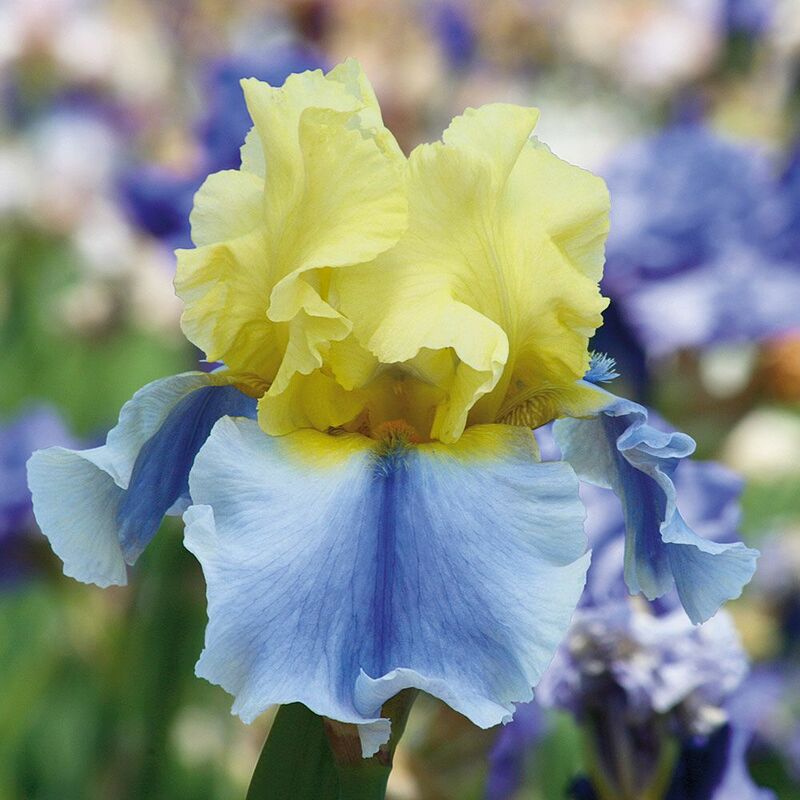 We love Iris ‘Easter Candy’ for the beautiful play on colors. The soft yellow standards rise above a watery cascade of pale blue falls that are each set apart by a central stripe of darker blue. 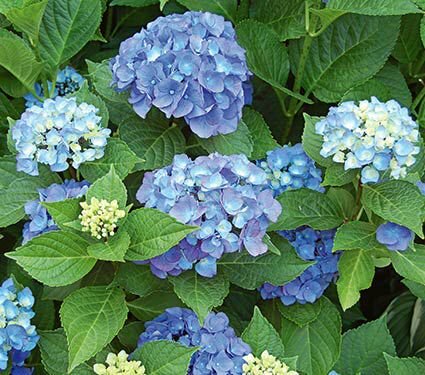 These plants also offer multiple stems with heavy bloom. 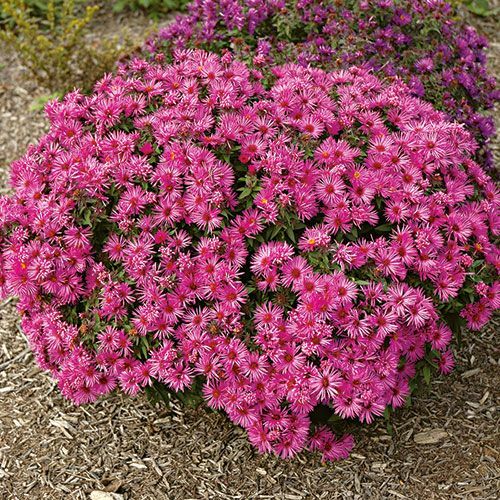 We count Asters among the great garden plants because many hold off blooming until late summer and fall when most flowers are spent. 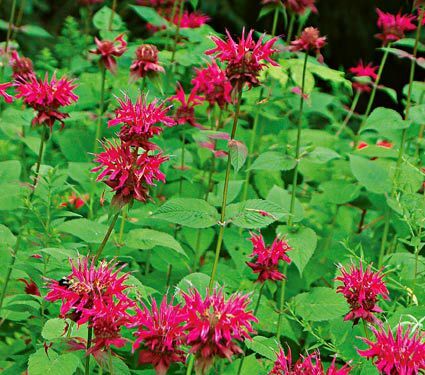 Let the raspberry-pink Daisy-like blooms of ‘Vibrant Dome’ introduce some hot summer color to your fall plantings. 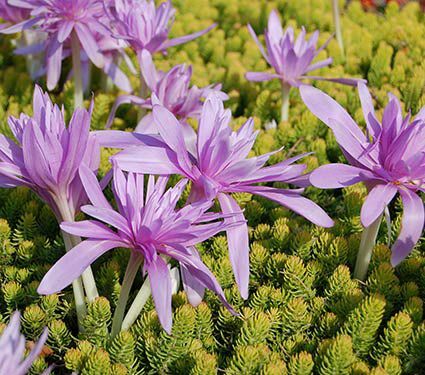 A sport of ‘Purple Dome,’ the plant was discovered by landscape designer Bobbie Schwartz in her garden, and it exhibits the same compact form and prolific blooming habit of its famous parent. 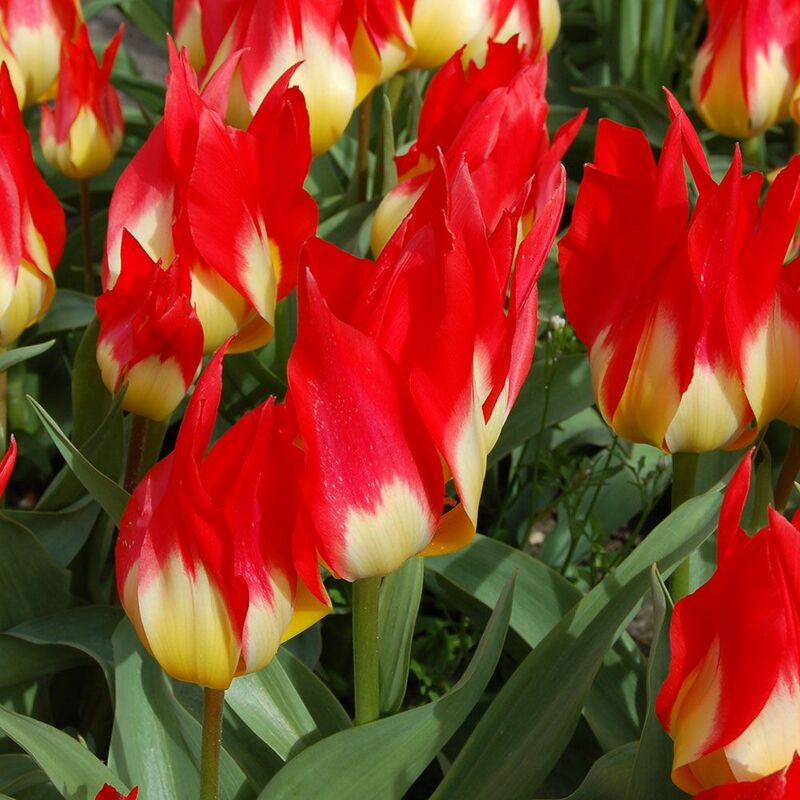 Fosteriana Tulip varieties are good choices for bedding, forcing, and perennializing. Tulips are happy in any good, well-drained garden soil. 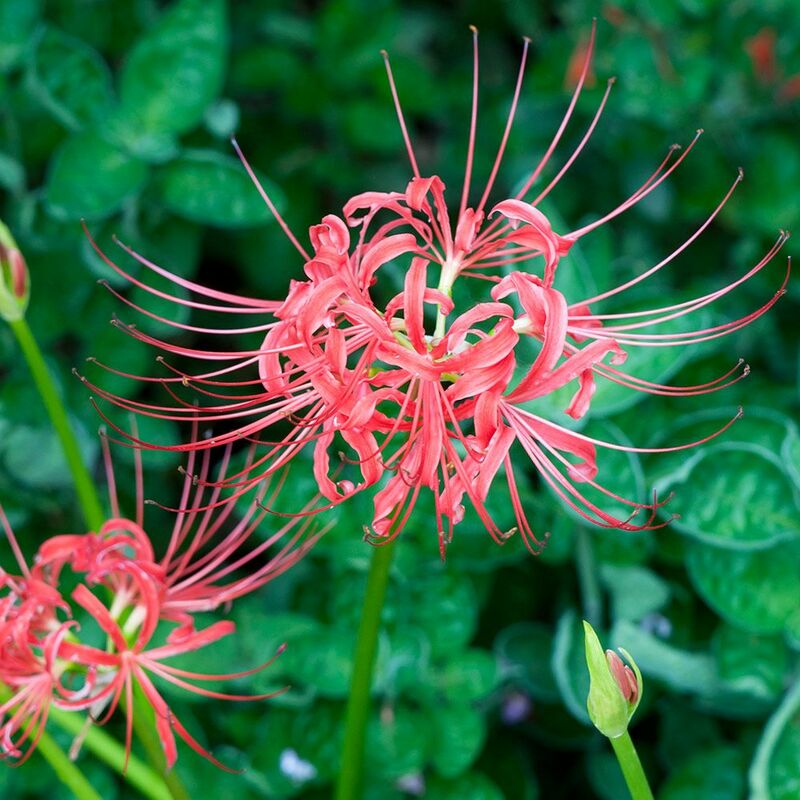 Eye-catching in both form and color, the fiery flowers of ‘Flames Mystery’ have pointed, twisting red petals with yellow bases. Combine their intensity with clouds of blue Forget-me-nots (Myosotis) for a showstopping display. The genus Allium (the Latin means “garlic”) offers colorful, distinctive, and long-lasting forms that are standouts in the early summer garden. Tuck them among clumps of summer-flowering perennials where the Alliums’ withering foliage will be hidden by the expanding perennials. The bright, 5″ lilac flowers on 3–4′ stems appear in late June and grow quickly to a colossal size. 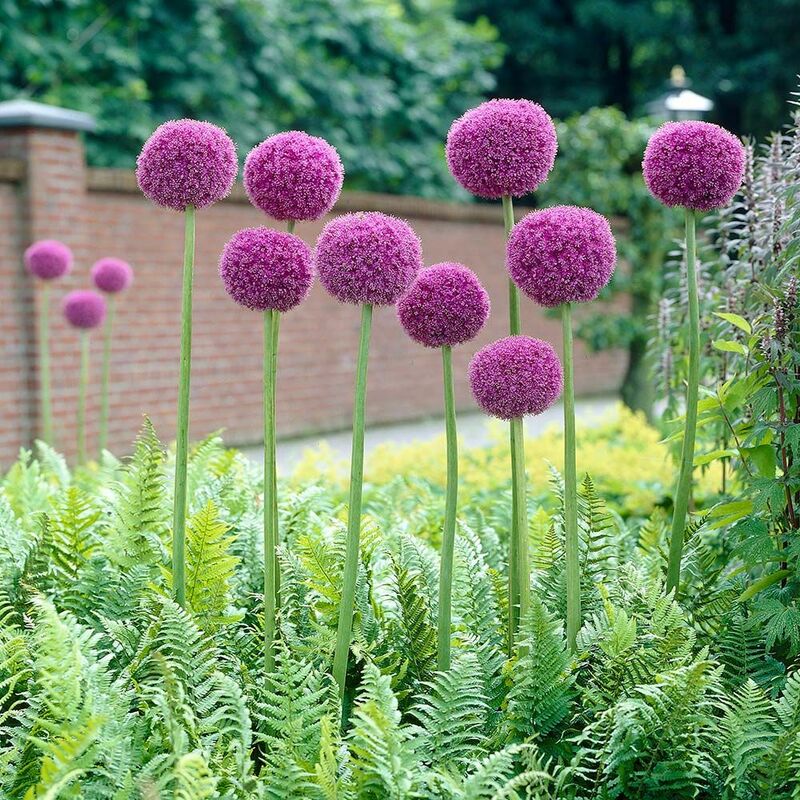 The intriguing flowers of Allium giganteum start green, coloring first on top of the ball, then slowly becoming lilac. As they mature, they revert to green again, from the top down. This rugged Himalayan survived a midsummer tornado in 1989 without staking.